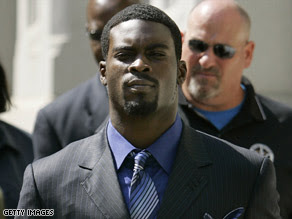 OK, so CNN is running a story about how the NAACP believes Michael Vick deserves a "Chance to redeem himself." Apparently the fact that he was involved in the brutal, violent and sub-human practice of dog fighting doesn't really matter because the spokesman doesn't think dogfighting is all that bad. White also said he didn't understand the uproar over dogfighting, when hunting deer and other animals is perfectly acceptable. OK so now shooting and killing a deer is the same as starving and torturing dogs to get them to fight to the death (or until they are maimed so badly they can't fight anymore). If Vick had gone out and shot a dog (or even dogs) I might let it slide (don't think I support that), but this is just ridiculous rambling and the fact that the spokesman made the argument is detestable. 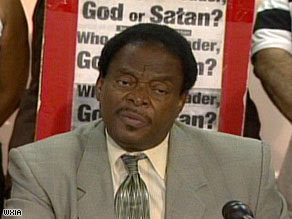 Of course I MUST point out that the spokesman for the NAACP is named Mr. White (giggle). The full story can be found here. So if we train Elk to fight AKA "Pit fighting Elk" that would be exceptable?